In a spirit of honesty, I’d like to admit openly that I was an emotional child, highs and lows and everything in between. As I matured into adulthood, I found very quickly that I didn’t have the tools I needed to navigate these emotions in a healthy way. If you think about the students you serve, I think you would agree with me that many of the children in our schools and community might not come to school with the tools they need to navigate their emotions in a healthy way either. No matter what your role is as an educator, whether you’re a school counselor or teacher or administrator, understanding the role that emotions – and more specifically anger – plays in the mental wellness of a person is vital to maximizing your influence on the students in your care. Every student should be given the opportunity to explore and regulate their emotions without judgement. 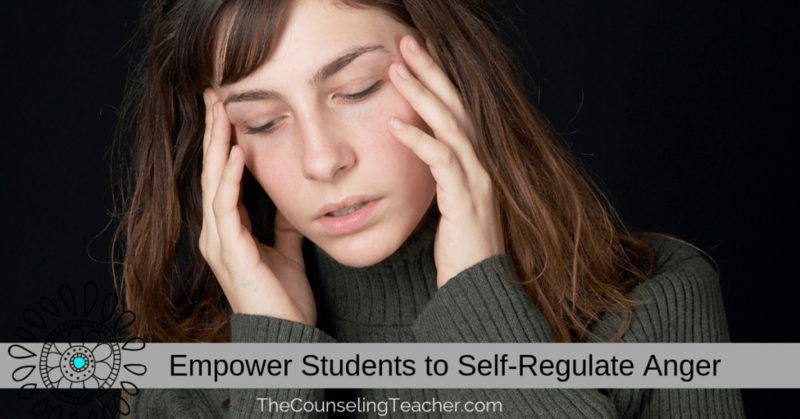 Empower students to regulate anger and other emotions by putting tools and calm down corners in the classroom to normalize the exploration of emotions. In my years of therapy and study, I have learned some important tools for managing the changing tide that emotions can bring, and I wholeheartedly believe that these tools should be in the toolbox of every educator so that they can better understand and serve not only their students but also themselves! Many of our students are afraid of negative feelings, so they push them down only for those feelings and emotions to erupt later on in a far more intense way. Understanding that feelings and emotions are a natural part of life can help our students feel the feels and ride the emotional wave instead of resisting it. Like being caught in a riptide, the more we fight those emotions and feelings, the more exhausted and beat down we feel. Once we learn to simply feel the feelings (i.e. ride the riptide current) and experience the natural ebb and flow that feelings bring, we can better address what is causing those emotions in the first place. Anger is often a secondary emotion. This truth is one of the most life-changing realities I’ve ever come upon. Think about the last time you were truly angry. Consider the events leading up to that feeling. Upon reflection, you could probably identify one or more emotions that you experienced before you were actually angry – even if it was just a split-second feeling. Stubbed your toe? Pain, then anger. In a conflict with a friend? Feeling neglected/dismissed/unseen/forgotten, then anger. Tripped on the sidewalk? Embarrassment or frustration, then anger. It’s hard to comprehend sometimes, but many times when a person experiences anger, there is another emotion – a primary emotion – that they experienced first. 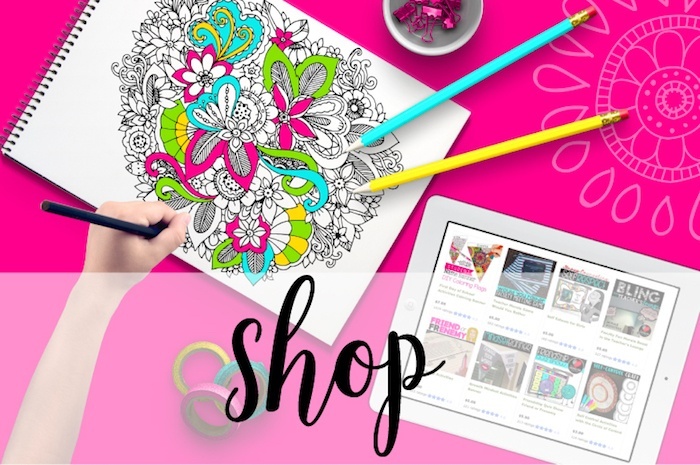 My Calm Down Corner Bundle will empower your students to examine and address their emotions in a healthy way. 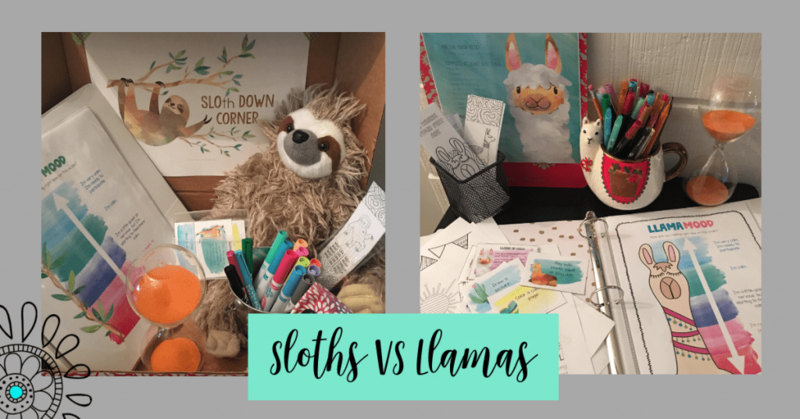 There are four fun themes to choose from including sloths, llamas, monsters, and dreamcatchers. The goal is to provide a safe, caring environment for students to regulate their emotions and refocus so that they can rejoin fun and engaging learning activities in the classroom. Through these resources, you will help your students build a strong emotional foundation as they continue to navigate feelings and emotions in their daily lives. 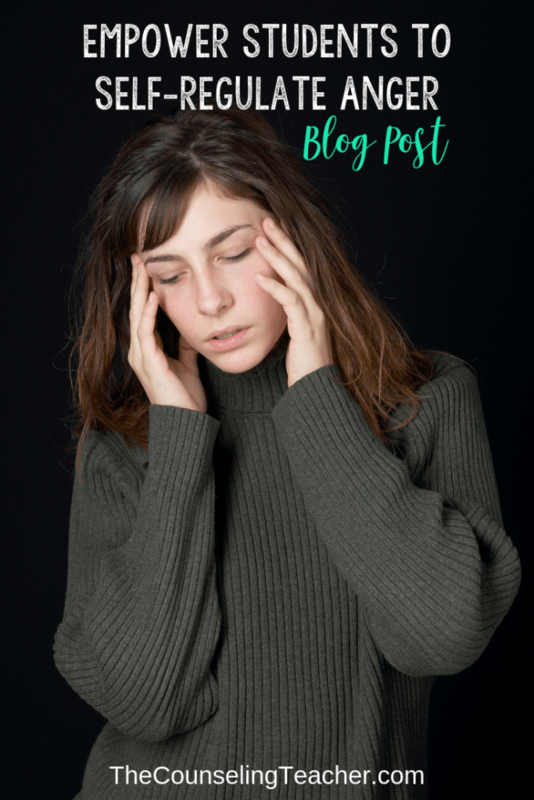 If you want to read more about calming tips for the classroom, you might also like this post.